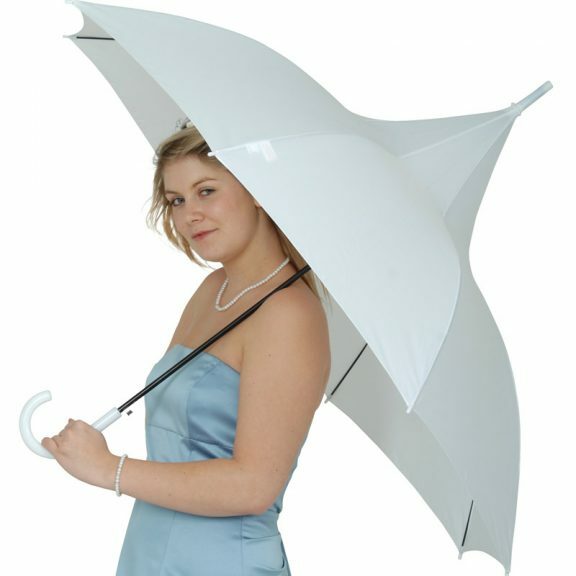 Classic White Pagoda Wedding Umbrella - Check out our huge range! 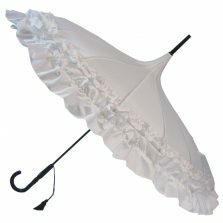 These classy wedding umbrellas are pure white, have a good size canopy and are simply ideal for weddings, christenings and almost any other special occasion really. 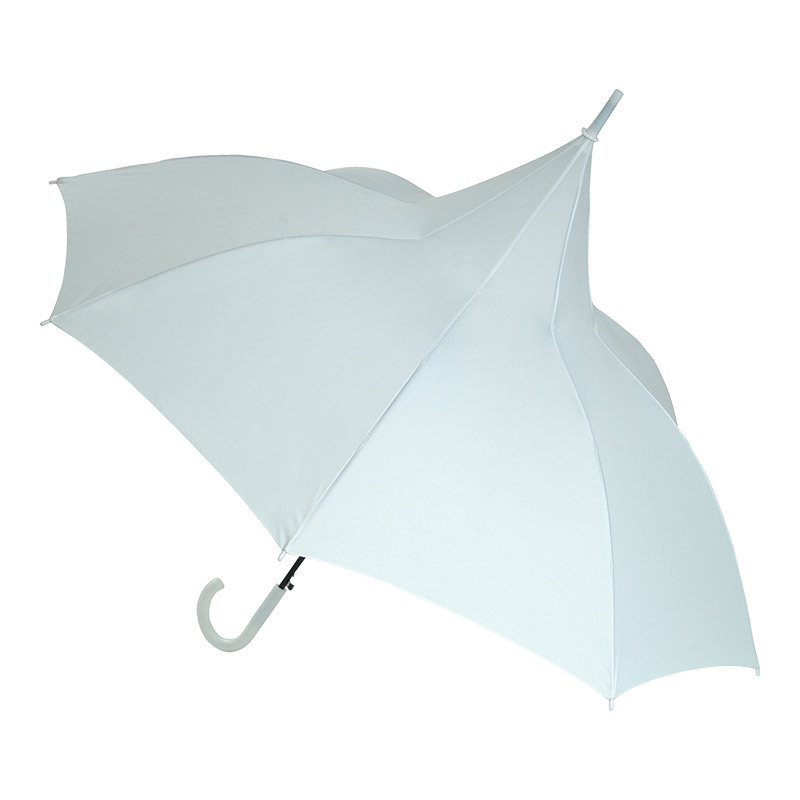 The Classic White Pagoda Wedding Umbrella is by far one of our most popular designs available in our stunning range of wedding umbrellas. 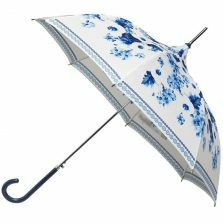 These breathtaking and stylish Pagoda Umbrellas, are the sister to our Classic Black Pagoda umbrella. 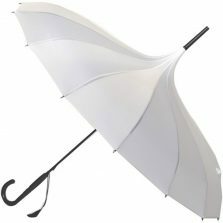 The Classic White Wedding Umbrella is sure to make your special day one to remember even if the weather is against you. 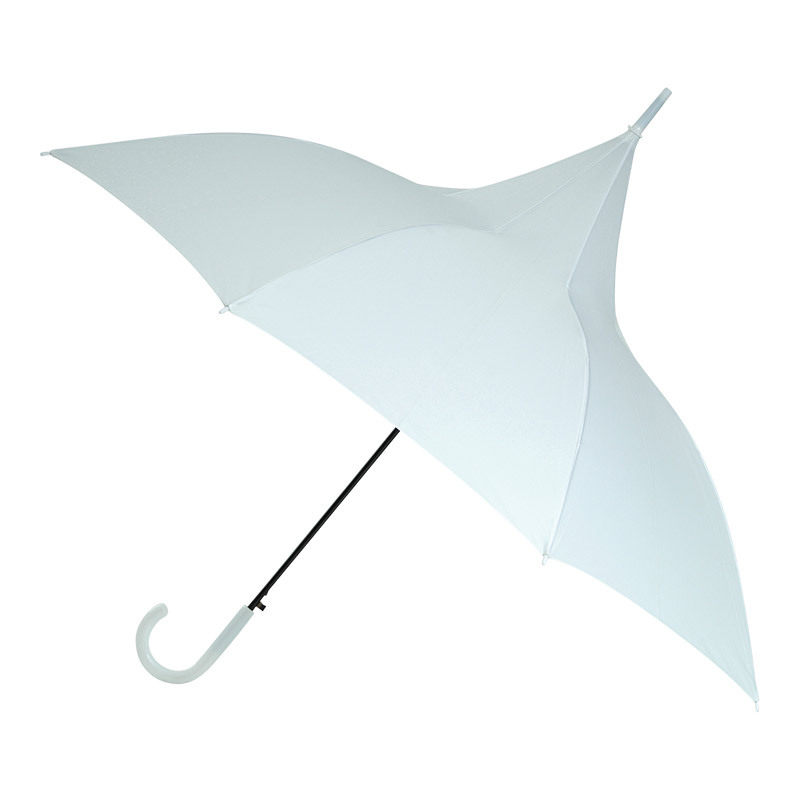 They have a push-button auto-open mechanism, a white curved handle with matching white top and spoke tips and Double-Dome windproof technology. So, if you’re looking for a Pagoda style umbrella for your big day, we’d say this is definitely a contender. Whether it’s for the bride or the Mother Of the Bride or Groom, you are sure to turn heads! It’s an absolute must have accessory on that special occasion. 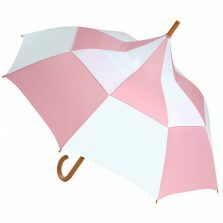 If the Classic Pagoda Umbrella isn’t for you, click for our Wedding umbrellas! Canopy span 105 cm / 41″ and overall length 95 cm / 37″.